I am really nervous regarding choosing what to write in listening and reading sections. So much of confusion regarding how to write capital or small letters. LISTENING- Suppose I want to write all capital letters and by any chance will i loose marks. 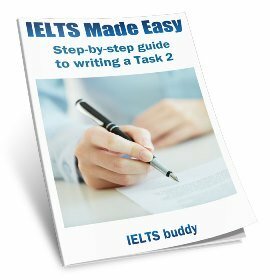 I have given my ielts once but used lower case and used capitals when required? But its really confusing sometimes with lowercase. For reading:- Answers need to be taken from text. What can you suggest? How should I write all capital or all small letters in reading? PLEASE GIVE ME YOUR STRONG OPINION IELTS BUDDY REGARDING THESE TWO SECTIONS AS I WANT TO SCORE PERFECT. You can use either lower case or upper case letters in IELTS listening and reading. You could even mix them up and it would not matter (though there is no point doing that). So don't worry and do whatever you prefer. This is my reply to the answer you gave me. Sir incase of listening section, we need to write suppose email id say rocks@gmail.com then could we write as ROCKS@GMAIL.COM ?? and also 2AM 2 PM? In reading section we need to answer numerals to matching heading questions suppose, and in the question they have asked in the question as write numerals as answers say i,ii,iii,iv. In such cases if we opt for capital letters to write in exam in the complete reading test should we write i,ii,iii or I,II,III. Because I have opted capital letters to write throughout the reading text but the question gives lower case numerals. Then what do in such cases. I,II,III or i,ii,ii we should write? Please suggest what to do ??? In reading section suppose i want to write lowercase letters and say in true/false/NG questions they mention to write as BLOCK LETTERS in the Question. So my doubt is If i opt to write lower case in reading throughout the component should I write in such way - True/False/Not Given or TRUE/FALSE/NOT GIVEN? Because the test says to be on same track if you are using lowercase or uppercase through out your test. PLEASE CLARIFY MY DOUBTS TO ALL THREE QUESTIONS INDIVIDUALLY. Yes that would be ok. It really doesn't matter - either would do and it has no connection to whether your other answers are lower / upper case. Again it makes no difference. Upper or lower is ok, and it has no connection to whether your other answers are lower / upper case. Sir finally whats your strong recommendation for me to write in exam . I mean your suggestion because I have exam this month and I am unable to decide what to choose lower or upper case. 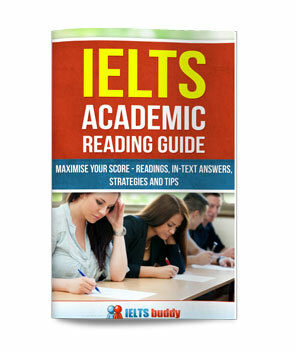 As YOU are the Ielts expert, I would like to ask you which one would you strongly recommend for me ? LOWERCASE OR UPPERCASE? As I said it really makes no difference. If you get the right answer then you get the mark regardless of whether you use lower or upper case letters. If your handwriting is not great you may want to use uppercase to make sure it can be read clearly. No more than one word and/or number. I have exam on 8th of April 2017 . I would like to some clear information regarding no more than one word and/or number. For instance:- 10 NATIONS. So is it right or wrong answer. Second thing is that date formation. For instance:-10TH APRIL 2016 OR 10th APRIL 2016. Which one is correct. Zinka if your asked no more than one word and/or number. It means it must be a word and number ; a word; a number. Your answer must be any one among these three. Regarding dates -If you wish to use lower case letters then its 10th April. If u wish to use all caps in the exam its 10TH APRIL. I want to improve reading and writing modules and want get high score. How I can improve my reading and writing score 7 or more? Hi i would like to know if I write "skill" in my listening exam but the correct answer is "Skills" do i get the marks? or they cut the marks if u make mistakes with singular plural? It would be wrong. You must get that correct. I thought we have to use upper case according to the passage. For example, if the answer is going at the beginning of a sentence, it has to be started with upper case. Isn't it true? Or for example, names must start with a capital letter ?? "You may write your answers in lower case or capital letters." It does not say anything about names having to start with capitals or the first letter. Sir in my ielts exam I have written all the answers in lower case and started them with a capital letter. For example: Wool, Dinner. I have done this for common nouns also. Will my answers be marked wrong?? Please tell me I am very tense. You will be fine as you can use either capitals or small letters and it's also ok to mix them up. Hi, I understand that capitalization rule was newly changed. Could you give all possible sample answers for listening and reading sections? It is really bothersome. Thanks in advance. Hello Sir, Sometimes it asks for two different words for the single answer. Like: I like......and...... as a lunch. Now, how to write the answer? Is should be: Pizza and Rice. OR it should be Pizza, Rice ? 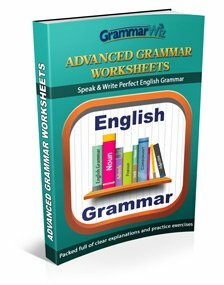 should we use "and" or ", (comma)" to give two different answers asked for one question. In IELTS listening you only ever put in what is missing from the gaps. 'And' is not missing so you should not put it on the answer sheet. Thank you Sir, it's still confusing, should we write answers with space only [Pizza Rice] or with a comma [Pizza, Rice]? Either will be ok as long as you have to right answer. Dear sir, can I write all the 40 questions in listening section in uppercase letters & all 40 questions in reading section in lower case letters. 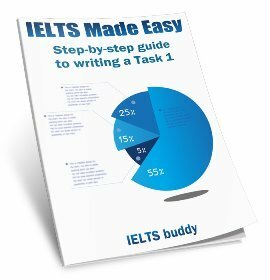 Please help me,I have my IELTS exam in this month. Yes you can. For both upper or lower case is ok.
Can i use all first letter in capital and remaining other in small? I have written all first word in capital and other remaining in small is that ok in ielts test exam? Upper or lower is ok, and it's fine to start with upper and finish with lower. It does not matter so any combination is ok.
That is fine if you used a mix. You will be marked on whether your answer is correct, not how you use small or capital letters. I’m worried about my listening answers. I wrote some answers in capital letters it’s like 1 to 25 and then i had only 2 minutes left so I didn’t have much time to write all answers in capital letters then i wrote in small letters from 26 to 30.
which is okay or not? TRUE FALSE NOT GIVEN - Can i write as like these True,Falso,Not Given ?